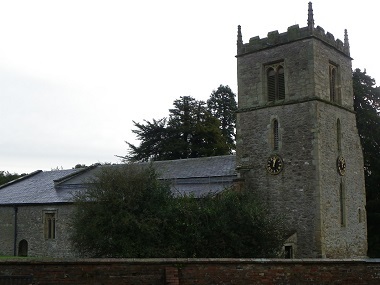 The Parish of Londesborough is in the south eastern corner of the group, adjacent to Nunburnholme and Shiptonthorpe parishes. It includes nine outlying farms and the village and has a total population of about 200. All Saints Church, Londesborough is the second largest church in the group accommodating up to about 120 people. Originally built in the Late C12, evidence of earlier stonework can be seen, and modifications have taken place up to the late C20. Londesborough has a very strong community spirit with good links to the church. Although the actual attendance at church by people of the village is sometimes low, they always come up trumps at special occasions; Harvest, Christmas Service and other times, fund raising, flower arranging and church sitting.